The problem with many biopics – particularly the middlebrow, awards-courting ones that tend to pop up around this time of year – is that the story they’re trying to tell is simply too large. These films succeed in recounting the biographical details of a historical or cultural figure’s life, but by trying to convey the entire sweep of a person’s existence, the lives of complicated, messy people are smoothed out into a familiar narrative: a rise, a fall, and perhaps some sort of late rebirth if the protagonist is lucky. The rest is colour – a box-ticking exercise recreating events the audience is already aware of, inevitably featuring a lead performance that is closer to impersonation than acting. Based in part Doris Kearns Goodwin’s terrific biography Team of Rivals (much admired by Barack Obama, as the cover mentions four or five times), Lincoln eschews this convention, focusing solely on the final few months of Abraham Lincoln’s 56 years of life as he attempts to pass the Thirteenth Amendment to the U.S. Constitution. 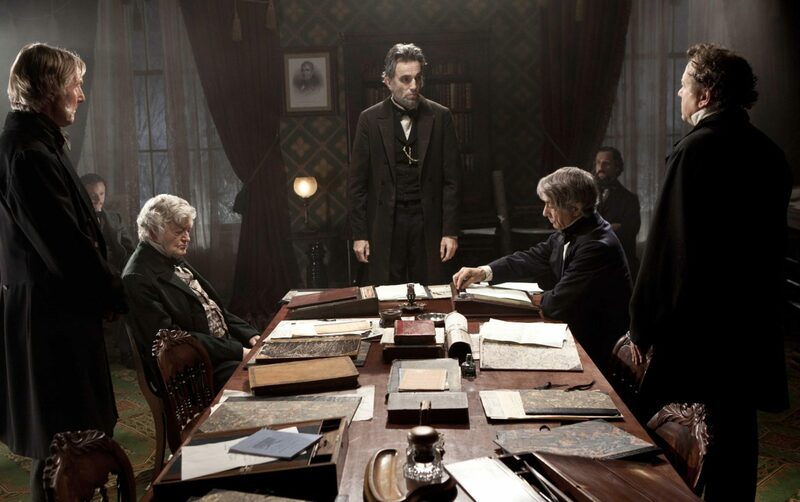 Considering the extraordinary particulars of Lincoln’s life, from his poverty-stricken upbringing through to his unlikely ascension to president through to four years of civil war, it is a bold choice from screenwriter Tony Kushner and director Steven Spielberg. The pair were spoilt with options – Goodwin’s book contains enough material to fill half a dozen biopics – but by concentrating so unwaveringly on a single act of governance Kushner and Spielberg create a rich, compelling portrait of the man, the times he lived in, and what made him so important. A 19th century political drama about the passage of a single bill, Lincoln is riveting, overflowing with murky deals and behind-the-scenes manoeuvring. 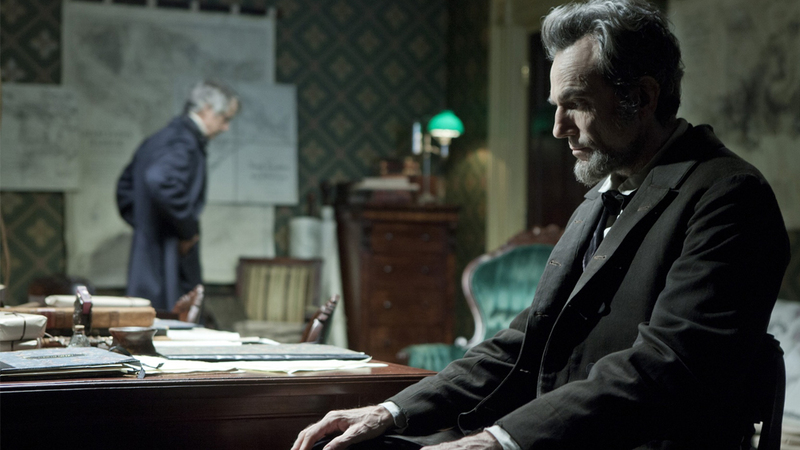 Kushner and Spielberg’s efforts to wrest Lincoln into life are supported by Daniel Day-Lewis’ superlative performance, which is at once gentle, wry, gregarious, melancholy and resolute. It’s easy to imagine his portrayal becoming the definitive depiction of the 16th President. 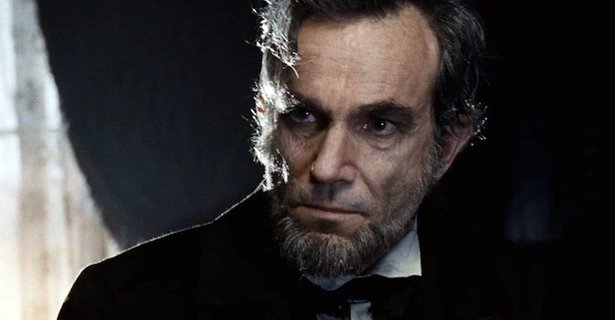 Every element of Lincoln is excellent, from screenplay to cinematography to editing, but in a film with 148 speaking parts, Day-Lewis is unforgettable. For a man whose face is carved into the side of a mountain, it would be easy for a depiction of Lincoln to slide into easy mythologising; instead, Spielberg’s film makes great efforts to show a man whose greatness comes from the management of his own complicated personality, rather than a simplistic, overpowering eminence. The passage of the Thirteenth Amendment is used as a synecdoche for Lincoln’s life: a man who accomplished his transformative goals against impossible odds using wily political ingenuity, compassion, great intelligence and exceptional oratorical skills. By depicting less of his story, Kushner and Spielberg get to the heart of its importance.